As part of the Asia IoT Business Platform 2017 activities in Singapore, I was fortunate to be able to attend a closed door discussion among senior technology and innovation executives from Enterprises around the ASEAN region. One of the panel discussions involved senior technology executives from, a Telecommunications company, an Automotive Manufacturer and a Conglomerate with multiple businesses ranging from agriculture to banking, who shared their thoughts on the Internet of Things , and what it meant to them. All the senior executives agreed that IoT provided opportunities to improve their companies bottom lines, either through revenue enhancements or cost reductions. They see IoT as the next step of evolution in enterprise technology, comparing it to moving onto the cloud 10 years ago. It wasn’t a question of whether you would do it, it was when and how you would incorporate IoT together with the existing infrastructure. The Telco executive mentioned that they were late to the game on mobile. In a bid to push forward, they are looking to skip a generation, incorporate IoT technologies and build on their expertise in City infrastructure. He believes that technology will enable them to offer smart services to their clients and thus open doors to new sources of revenue. On the other hand, the executive in automotive manufacturing spoke about how his firm is looking at IoT to further enhance their Just in time production model to add transparency and accountability to their suppliers and through this process reduce overall costs and improve production lead time. When asked about their views on risks and challenges on implementing IoT, security came up as a common theme. Increasing the number of connected objects to their networks, increases the entry points where cyber attacks can be launched and potentially disrupt operations. Corporate espionage was also highlighted as vulnerabilities in the networks could allow competitors to quietly listen in and obtain information on daily production and react by changing their production and pricing levels. In addition to stealing data, there was also a real concern on theft of physical goods, as leaked information can be sold to thieves who could choose the best possible locations to hijack delivery trucks travelling through remote areas of the country. The other common theme brought up was the challenge in changing the mindset of their colleagues in adopting new technology. The tech executives would need to build a business case to convince the senior level folks to show how investing in IoT will impact their bottomline. On the other hand, operational colleagues would need to be convinced that implementing new technology and processes would make their life easier as manual, labor intensive tasks are reduced. There is often inertia on both ends. Companies which are currently profitable, see little need in investing as current business models work, while operational staff find it too much of a hassle to change the way they work. The executives agreed that there was much work required to get the company aligned, but it will go a long way in making implementation successful. 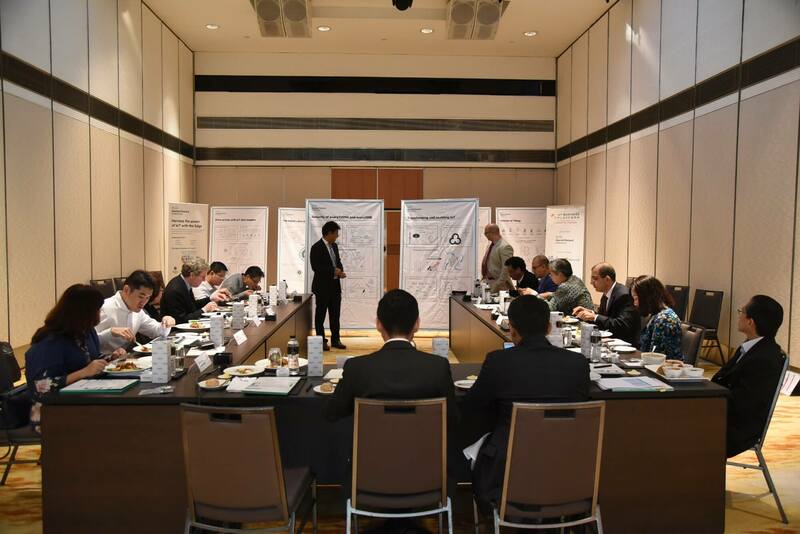 This year, the team at Asia IoT Business Platform will be focusing on understanding the challenges of IoT adoption and deployment that businesses and enterprises are facing in each of their local markets. We will be in Thailand (24-25 July), Malaysia (27-28 July), Philippines (1-2 August) and Indonesia (7 - 8 August), discussing the challenges of IoT adoption.